Quick and simple switch access. A NEW, easy to use switch interface and wireless switch bundle from HelpKidzLearn. 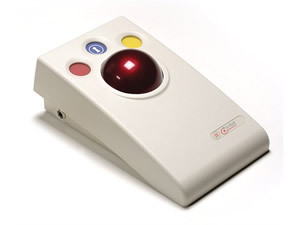 The NEW The EasySwitch is ideal for use with HelpKidzLearn's accessible games and activities and a large proportion of switch accessible software including Inclusive Technology switch operated software. The EasySwitch is easy to use and has no software to install. For a very small cost, the HelpKidzLearn EasySwitch offers a plug in and play option for your learners, without the hassle of wires. 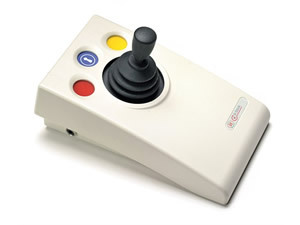 Simply connect the EasySwitch dongle to a USB port on your computer, pair your switches and you are ready to play switch accessible games and activities such as Smarty Pants, Splat the Clowns, Five Little Aliens and many more. 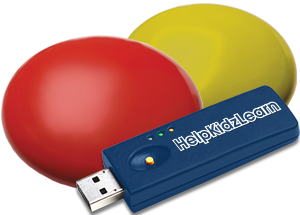 The HelpKidzLearn EasySwitch bundle comes with yellow and red wireless switches. These wireless switches have a unique, low slanted profile which gives good tactile feedback with no protruding base and can be operated with the slightest movement. 2x 3V CR2032 batteries included. Not only does the HelpKidzLearn EasySwitch work with our own software, but it will also work a whole range of switch accessible software. The EasySwitch & Switches will work with all computers and devices that have a USB access port. Switches: 10 metre (32’) operating range. For VAT Exemption in the United Kingdom please order via Inclusive Technology.